Description: Sulzer ZPP Size 52-600 Split Case Pump, Stainless Steel Casing and Rotating Assembly. Year 1999. Flow Characteristics: 22,450 GPM; 134 FtHd; RPM 800. 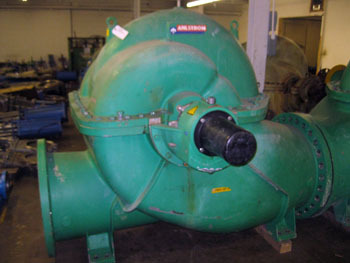 Ahlstrom Pump.